Note: The Journal will be posted HERE once it is published. The workbook will NOT be printed for each attendee this year for distribution at the meeting. Click here for e-workbook. DO NOT use the 2019 Minimum Clergy Compensation and Benefits Policy of the Episcopal Diocese of Hawai‘i found in this e-workbook. 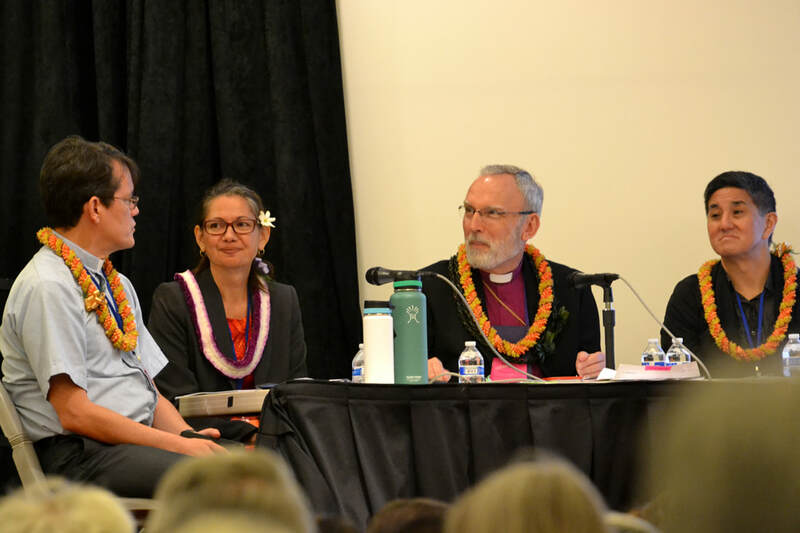 Please see below link under Resolutions for the adopted 2019 Minimum Clergy Compensation and Benfits Policy of the Episcopal Diocese of Hawai‘i. Cathedral Chapter Nominees - No nominations received as of end of day 10/5/18. Diocesan Council: Exercises the power of the Convention and performs planning and policy-making between meetings of Convention. Oversees the policies, programs, mission, and budget of the Diocese and may initiate new work. Also is the legal corporate body of the Episcopal Church in Hawai‘i and, as such, is responsible for the business and property of the Church. This is the Board of Directors of the Diocese. Standing Committee: Serves as the Bishop’s Council of Advice. Performs duties as specified by the General and Diocesan Convention, and the Constitution and Canons of the Episcopal Church and the Diocese of Hawai‘i. Serves as the Ecclesiastical authority when there is no Bishop. Cathedral Chapter: Serves as the oversight body for The Cathedral of St. Andrew (both as a congregation and as the seat of the Bishop). Secretary of the Convention: Records minutes, enters them in the Journal, and, under the supervision of the Bishop, attends to the publication and distribution of the Journal, and performs other duties as prescribed in the Diocesan Constitution and Canons. Chairs the Committee on Convention Plans for planning the agenda and making physical arrangements for the Convention. Maintains various directories of Diocesan officers, commissions, departments, etc. To view the Bishop's Report to the 50th Annual Meeting of Convention, click HERE. 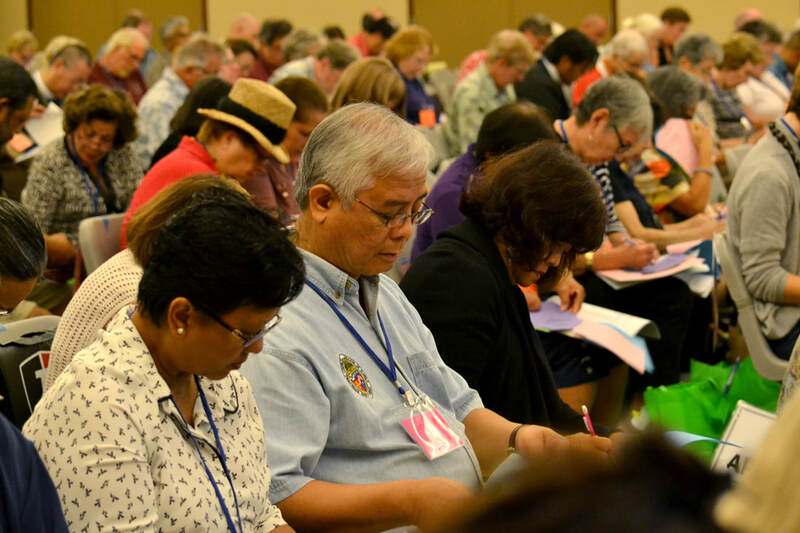 Bishop's letter to all members (elected lay delegates of congregations, clergy of denomination in full common with the Episcopal Church in Hawaiʻi and installed as Rector, Vicar, etc as per diocesan Canon 1.1) of the Convention of the Episcopal Diocese of Hawaiʻi. 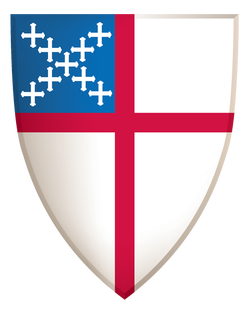 To see a copy of the legal documents for The Episcopal Church in Hawai`i, including the Constitution and Canons, please visit the "Legal" section on the "Forms and Documents" page. The Strategic Plan unveiled at the 2017 Annual Meeting has progressed to the next step of developing implementation plans. Please click HERE for a description of the Design Team presentation. In celebration of our 50th Annual Meeting of Convention, special shirts have been ordered. Clergy and delegates are encouraged to wear one to the meeting. Registration and Credentials - Credit cards accepted! Delegate Change Form - If a Delegate that you elected in January is no longer able to attend, please complete the Delegate Change Form to change an elected Alternate to an elected Delegate. If the name of the person you want to name as Delegate was not elected as an Alternate at your Annual Meeting, do not use this form, contact Rae Costa. NOTICE: If you are a delegate, your registration fee will be paid by your church. Please select "check" as the payment method and notice will be sent to your church. Please also select "check" if you are a clergy person, alternate, or visitor whose registration is being paid for by your church. If you submit payment for your Annual Meeting fee and the church was to have paid for it, you will need to request reimbursement from your church. The congregations of the Diocese share the costs of travel for the lay and clergy delegates (not alternates). The below documents that explain this practice and that detail the cost to each congregation will be posted at a later date. Shared Travel Memo - Explains the practice of sharing travel and shows how the calculation was done. Includes a description of the procedures for arranging travel. Shared Travel Assessment - Details the cost to each congregation and is included in the above Shared Travel Memo. Note: These amounts were billed to the congregations on the regular July 1, 2018 bill from the Office of the Bishop. Congregations do not need to write a separate check for the shared travel assessment. As in years past, ground transportation and hotel costs are NOT included in registration fees and will not be covered. All attendees are responsible for booking their own hotel and ground transportation. 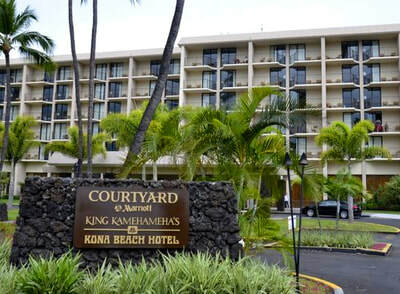 A limited number of rooms at a group rate of $145-$200 per room per night plus necessary taxes. CLICK HERE for copy of e-mail sent out with hotel registration information. Resolution Cover Letter - The memo stating how to submit resolutions to the Convention and when the deadline is. How to Write a Resolution - A one-page document describing what information to include when writing a Resolution. Resolution Form - Online deadline submission: 4:00 pm Wednesday, 9/12/18. Online submissions are now closed. Considering Resolutions After the Deadline - A one-page document describing procedures for Resolutions submitted after the 45-day deadline. Nominations Cover Letter - What leadership vacancies are coming up? What type of person should the leader be? How is someone nominated? A letter to get those questions, and more, answered. Nominations Office Descriptions - This document describes the functions, commitments, meetings, qualifications, etc. for vacant offices on the Diocesan Council, Standing Committee, Cathedral Chapter, and for Secretary of the Convention. Nomination Form - Due to the low number of nominations that were submitted, we are extending the submission deadline to Friday, October 5 at 4:00 pm. After October 5, nominations must be made from the floor at the Annual Meeting. One need not be present to be nominated from the floor. However, the person must consent to be nominated. Necrology Letter - Instructions on how to report the names of those in your congregation who died from Sept. 1, 2017 through Aug. 31, 2018 (inclusive) will be posted at a later date. ﻿Necrology Reporting Form﻿ - Submission Deadline will be 4:00 pm Wednesday, 9/12/18 for the names to be presented during the Annual Meeting of the Convention. Late entries will not be accepted.